The earliest evidence of a deliberately made alcoholic drink comes from a 10,000 year old piece of Chinese pottery. Lab tests revealed traces of a fermented mixture of rice honey and fruit. It would have been hard to mix those ingredients and keep it from fermenting. 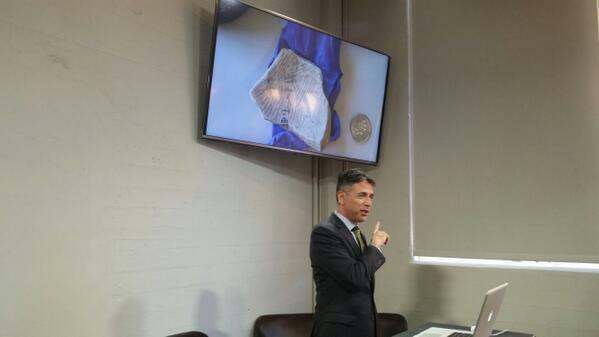 Adam Rogers has held that shard of pottery in his hand and made an eminent archaeologist nervous in the process. 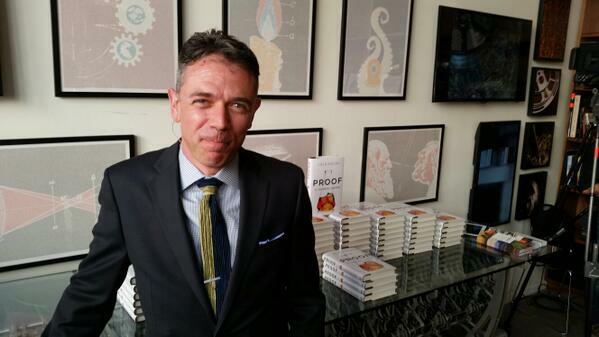 He tells that story and many more in his new book Proof: The Science of Booze which tells the ten-millennia story of alcohol history from Yeast to Hangover. 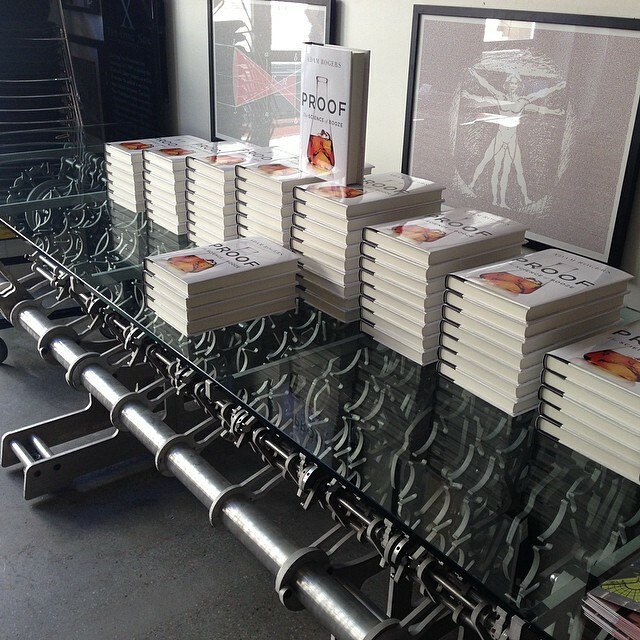 Long Now was honored to host the launch of Proof this week for the first salon talk at The Interval, our new bar and cafe. We are not yet open to the public, but we knew this was the perfect way to debut The Interval as a venue for smaller talks to complement our ongoing Seminar series. If you missed his talk here, Bay Area folks can see him speak tonight (Thursday, May 29) at California Academy of Sciences’ “Chemical Reactions” NightLife event. Adam will also be talking about Proof in a few cities around the country including June 4th in Washington DC, on June 5th in New York City, and in Los Angeles (TBA). An experienced science journalist and great storyteller, Adam is the articles editor at Wired, and he also knows his booze. In fact his knowledge of the local spirits and bar scene have been invaluable to Long Now as we planned and built The Interval. It was Adam’s recommendation that led us to Jennifer Colliau who designed and runs The Interval’s bar. And Adam connected us with St George Spirits who helped us make some very special whiskey and gin which have helped us raise construction funds for The Interval. You’ll find the full story of Long Now’s Bristlecone Gin in Proof, learn about an alternate reality where Americans drink saki rather than whiskey, and learn more science than you knew existed about hangovers. Adam first began this line of boozy writing in 02011 when he wrote an award-winning story about a whisky fungus. Adam Rogers writes masterfully and gracefully about all the sciences that swirl around spirits, from the biology of a hangover to the paleontology of microbes that transform plant juices into alcohol. A book to be savored and revisited. Congratulations to Adam and here’s to the continued success of Proof. It was wonderful to celebrate it and The Interval’s debut together. The Interval at Long Now is an intimate event venue that serves coffee, tea, beer, wine, and sensational cocktails in a time-themed menu. The Interval opens for regular hours in June, and will host a few salon talks each month, more events will be announced soon.